Sad fact is, most old movies went to television because few had commercial life beyond initial release. There were exceptions, remarkable ones, like Gone With The Wind/Snow White/King Kong, etc., but most studio output, being bound to years they were made, became less useful in seasons to come. Each company had evergreens, however limited. 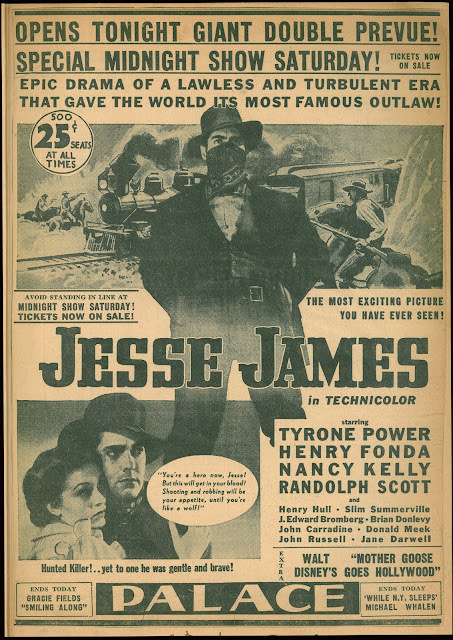 For Fox, Number One of these was definitely Jesse James, the best overall performer of any library title they sent back into theatres. 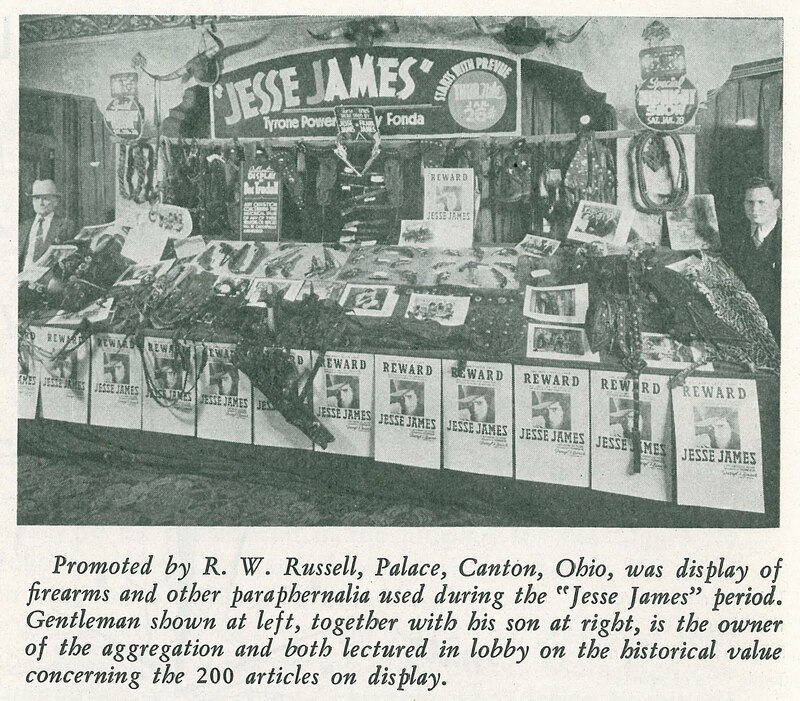 Many exhibitors kept standing order for Jesse and follow-up, Return Of Frank James, telling 20th exchangers, Whenever there are prints, send them. The company mounted two official revivals --- called Encore Triumphs --- of which first was Jesse's 1946 pairing with Frank, a natural combo, since the latter was a direct sequel and continuation from the first. These yielded a wondrous $1.34 million in domestic rentals, better even than some new releases Fox had that year (and several times what TCF generally realized with oldies). A 1951 Jesse/Frank tandem put another $600,000 in domestic coffers, with more than one exhibitor declaring both were good for at least an every other year's booking. 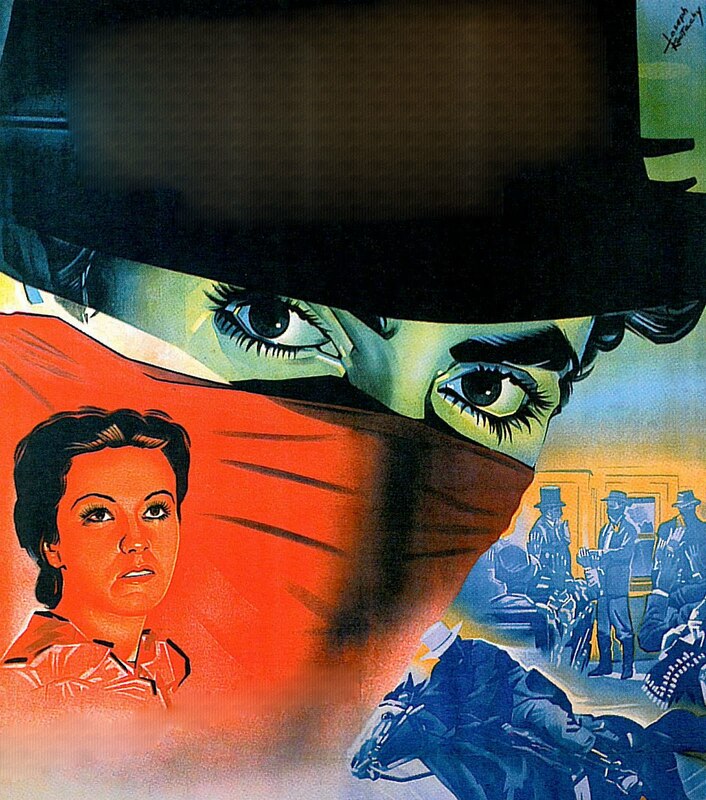 What renewed these money markets was timeless nature of the subject matter ... westerns old were nearly as reliable as same new ... plus fact Jesse and Frank boasted Technicolor, a surest hedge against obsolescence. Helping too was Randolph Scott prominent among Jesse's supporting cast, as he'd become a most trusted western brand after the war. 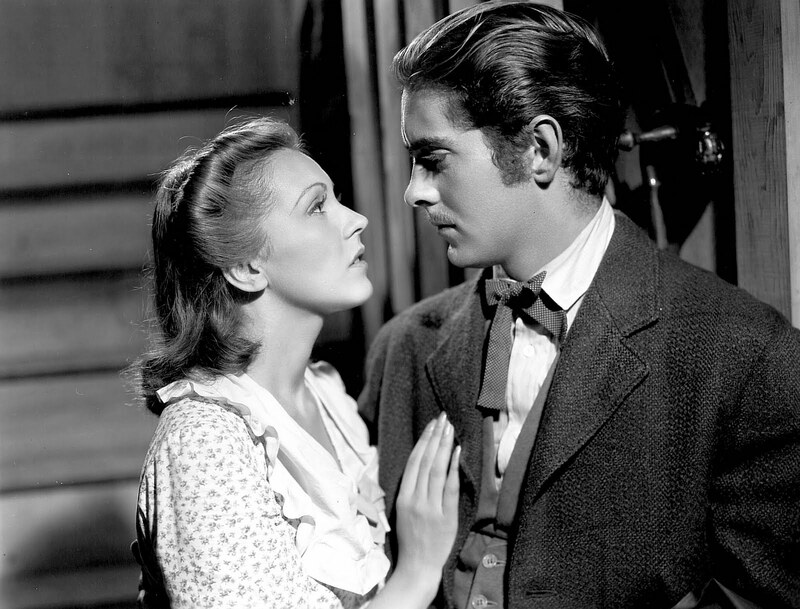 By 1965, both Jesse James and Return Of Frank James were on syndicated television, and paying admission days seemed over, but there would be a final roar for the 1939 favorite, a resounding one even if limited to theatres in our South-land. For most of the 1970s, I exhibited movies (theatre manager) for ABC SOUTHEASTERN THEATRES, a division of the AMERICAN BROADCASTING COMPANY. Two or three times per year, the brass would book for us what the company referred to as "project pictures." These movies were those which the company could book cheaply (usually a flat rate), develop its own advertising campaign, block-book into geographical areas, and hopefully, drum up enough business to pay bills for that particular week. 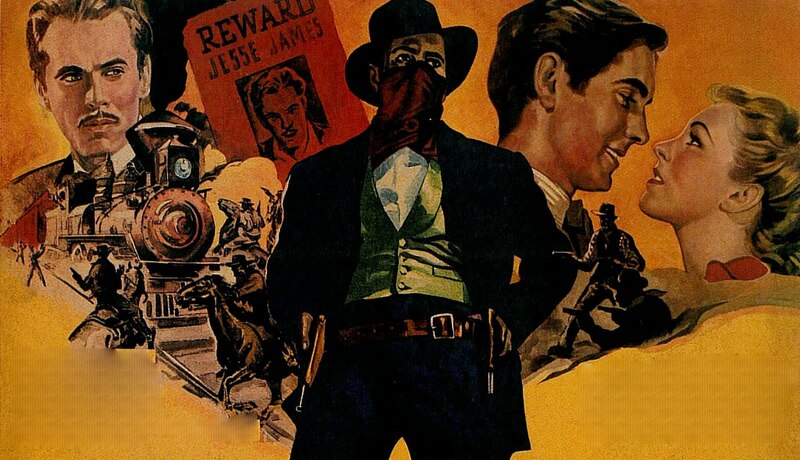 In the spring of 1972, the "suits" reached way back and decided to make a go with Jesse James, a then thirty-three year old western produced by 20th Century Fox. 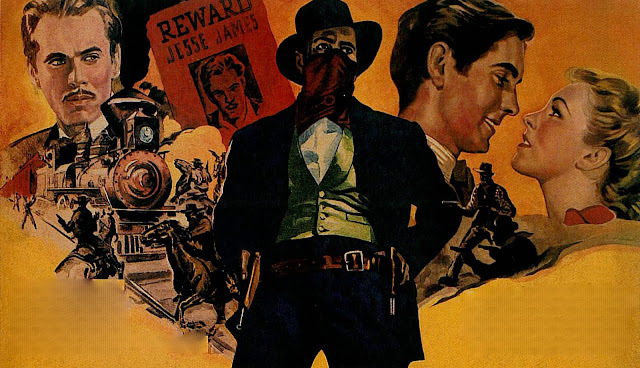 Anti-hero westerns were a hot commodity at the time due to successes of films such as Butch Cassidy and The Sundance Kid, The Wild Bunch, and The Professionals, so appeared to be a good choice. It turned out being a very wise choice. I never knew all the specifics going into the deal between ABC and 20th Century Fox. 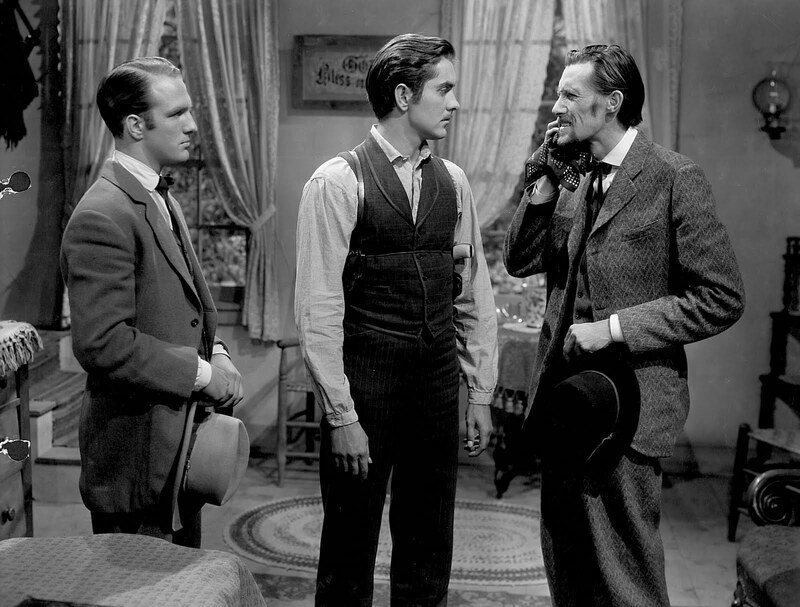 I can imagine conversation between the two giants when ABC broached the topic of booking Jesse James. Fox: "Do we own that?" ABC: "Yes." Fox: "So you want a print of Jesse James?" ABC: "No, we want multiple prints. 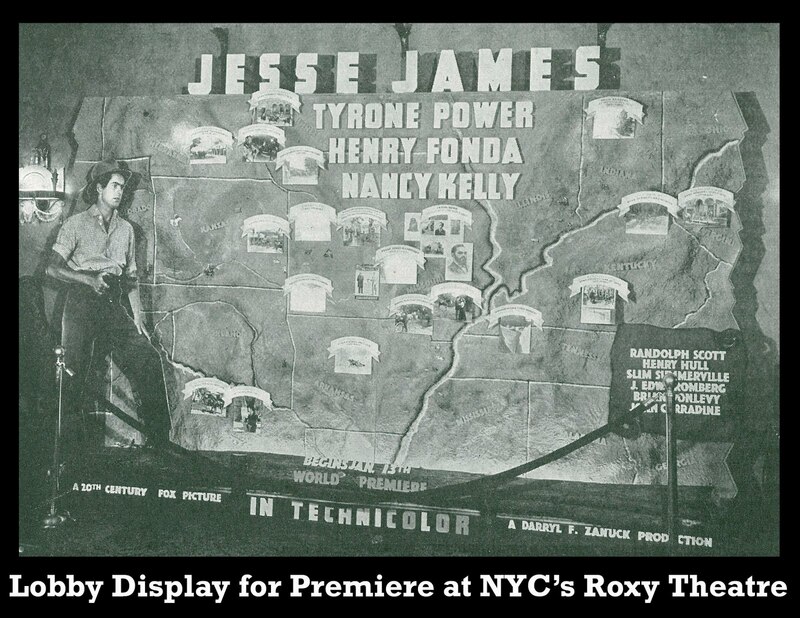 We want to play Jesse simultaneously throughout our theatres. Fox: "We probably don't have any prints available. "ABC: "Make some." 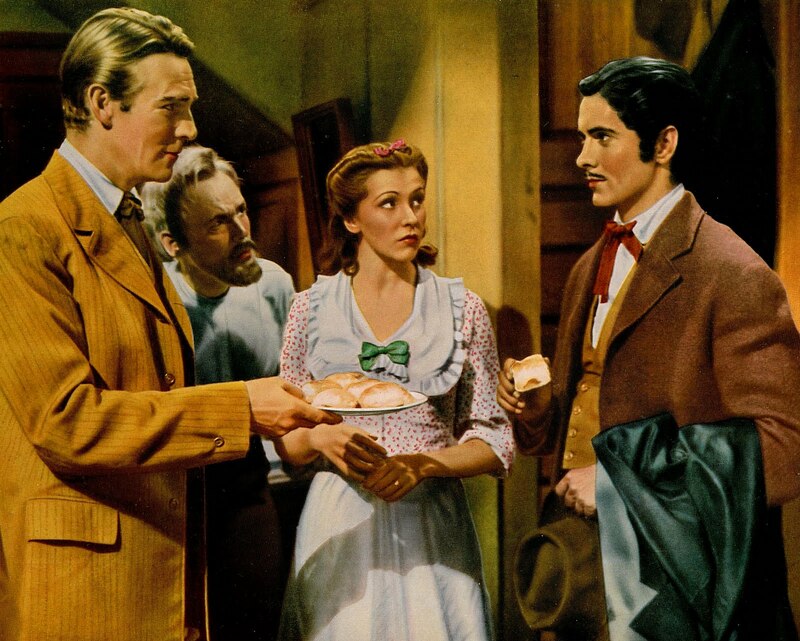 So a deal was struck, as were new prints, probably the first 35mm of Jesse James to be struck since the 1950s (and I'd suspect final ones generated since for theatrical use). ABC Southeastern's ad campaign was designed by Jack Jordan, the advertising director for our division, based in Charlotte, N.C. Jack had a pretty good knowledge of movies and did a nice job cutting and pasting artwork from a number of westerns to create a new look for Jesse (note borrowing of key art with Robert Wagner from The True Story Of Jesse James). 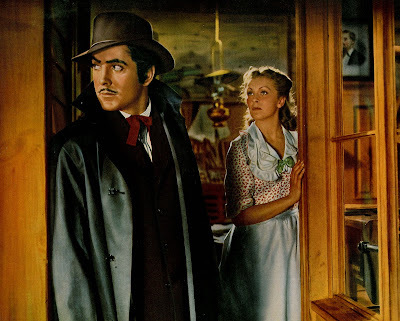 Jack knew moviegoers of 1972 had less idea who Tyrone Power, the film's star, was, so he concentrated more on Henry Fonda, the one actor from the 1939 film still active. 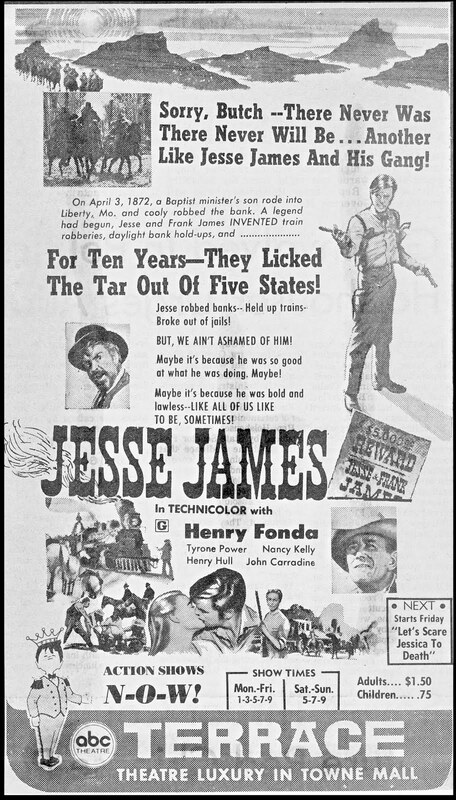 Then he compared Frank and Jesse to Butch and Sundance, only proclaiming the James boys as being the rowdier outlaw duo (at least until we played the Newman/Redford show again---which we did). 20th Century Fox delivered to ABC four sparkling imbibition Technicolor prints for our engagements. Then the Charlotte bookers set playdates for our respective houses. My theatre (Salisbury, N.C.) was grouped with Winston-Salem, Lexington and High Point. Extensive radio spots were bought through the region. These were pre-iPod days when citizens actually listened to radio. These four towns played Jesse James for one week, after which prints went to other groupings within Southeastern such as Raleigh, Chapel Hill, Greensboro and Burlington. This went on until Jesse James played through the entire circuit (Virginia and both Carolinas). My theatre was charged $100.00 film rental (larger cities were charged $250.00) for the week's booking, this a bargain compared with prevailing rates. My share of the radio campaign was more than I paid for the feature itself. Business-wise, my theatre did pretty well with Jesse, and with that flat rental, certainly performed beyond what we'd have realized with percentage pics far less likely to do comparable business. By the time warm weather rolled round, Jesse James had played ABC's hardtop circuit, so the company spun it off to our drive-ins. In most cases, they booked Jesse with True Grit. A great combination this was (see ad above), certainly in the South. Film rental for an entire week totaled $50.00 for my Thunderbird Drive-In ($25.00 per picture). This combo kicked off our Spring / Summer outdoor season, and we filled spaces every night on the weekend and did better-than-average business throughout weekdays. Being able to keep all box office receipts (sans the $50.00), we got off to a great start that year. Following ABC's engagements, the prints were available for other theatres around Charlotte to book. At least one of the four prints remained in service until it was literally worn out. 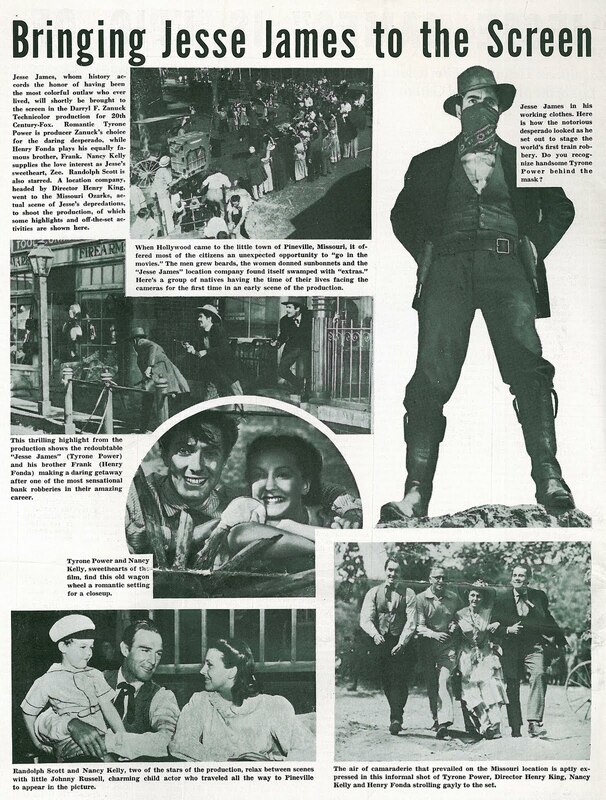 Thanks a million to Robert Cline for these insights and memories of Jesse James' theatrical curtain call. Happy T-day! Such a sweet and savory blog to sustain us! I envy you getting to see 35mm imbition Technicolor prints of a vintage title like this one. One question.... what aspect ratio did they show it in. I know theatres in 1972 that could show 1.33 were rare. 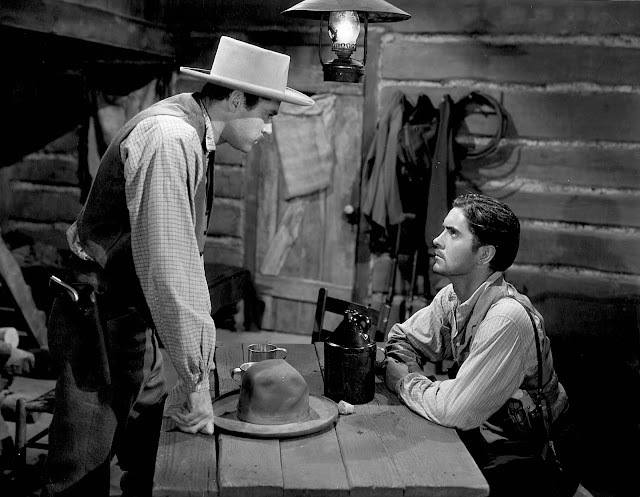 Seeing Robert Cline's name in your superb JESSE JAMES post brought back sterling memories of my 16mm collecting days. Robert was easily one of the top five people I bought titles from (Ron Hall of Festival Films was and always will be number one, with Charlie Vesce a very close second, Robert was number 3). I did not know until now he had been active in exhibition. Got a ton of great ideas from this post. Wonder what kind of posters were used in the theaters for this. Possibly originals and reissues from NSS or poster exchanges? Kind words from you, Jeff, and I appreciate them. FYI, Reg. Mr.Cline was in exhibition from the time he was a teen-ager. His Thornhill Ent. will be remembered as one of the best sources for 16mm rarities. The JESSE JAMES ad on the left in your column was the one-sheet. Comment from below: I know it's Hollywoodized, but Jesse was simply a blood-simple hillbilly; his ascent into the stratosphere of myth has always troubled me. Over the years I've seen King's, Lang's and Ray's films about Jesse James at the Pacific Film Archive. Enjoyed them all but I'm partial to Ray's flawed attempt (that includes some beautiful footage swiped from the 1939 release). 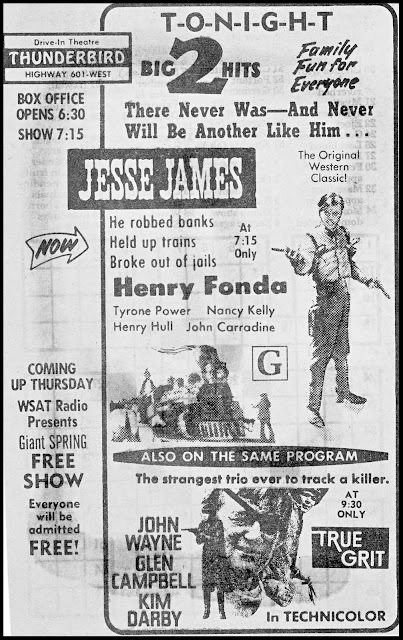 Many of us 40-something types were first exposed to the myth of Jesse James *as a myth*, the myth itself being the subject of an entire Brady Bunch episode ("Bobby's Hero") dedicated to debunking the concept of James a hero. In addition to a dream sequence in which the Bobby watches his entire family gunned down in cold blood by his "hero", the episode is notable for the guest appearance of the immortal Burt Mustin playing the son of a man murdered by James who has written a book attempting to "print the facts" about James rather than the legend. I was curious as to whether I could find Mustin acting in another film or TV show set in the old west around the James legend but couldn't find anything. He does show up in the first scene of Nick Ray's THE LUSTY MEN way back in 1951, pointing a gun at Robert Mitchum. Frank and their "gold-hungry guns" (the refrain in the show's title song). "The Legend of Jesse James" ran 1965-66 according to imdb. note, the definitely unrelated "Jesse James Meets Frankenstein's Daughter"
time to save his brother and the clerk. I'm honest to God wondering why in an industry town like Beverly Hills they never reisuued these things when I was a child. Instead, I was exposed to re-issues of the worst mid-50's Universal-International crap you can imagine. 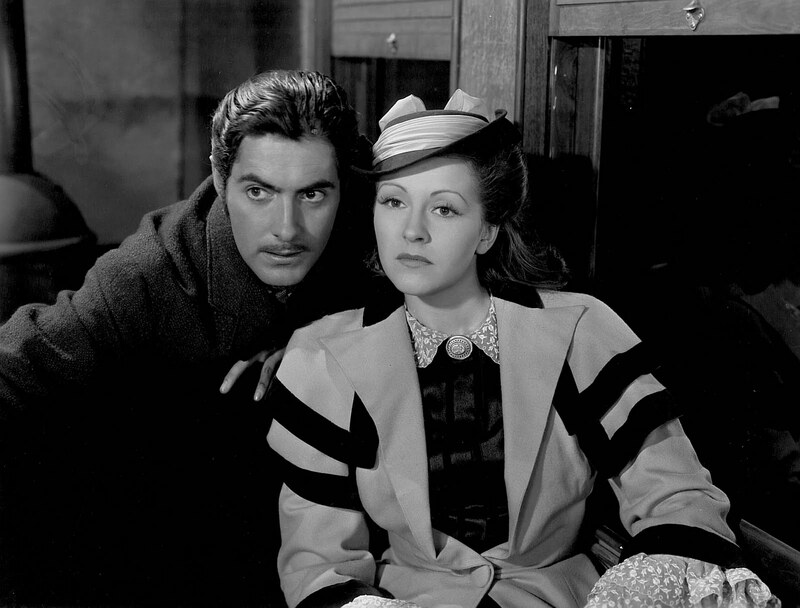 Finally, and blessedly, a small art theatre in B.H., The Beverly Canon, booked a 35mm double-bill of "Grand Hotel" and "Dinner at Eight" and blissfully unaware of what was awaiting me, I trudged off, with a brown-bag tuna sandwich in tow, one Sat. afternoon. I still really don't think I've fully recovered (or ever will) from that experience. What is so terribly sad to me is to see the shifted billing on those reissue ads for J.J. Boy, if that doesn't tell the story of how transient fame is, then nothin' ever will! You reminded of a little anecdote: About 10-15 years ago when I was a resident of West Hollywood, I used to go to a little corner bakery called "Basix" most mornings, for coffee and croissants. One day I got to chatting with this very attractive young girl. "I've got to go" she suddenly said, explaining she was an executive or something at the nearby Fox studio on Pico Blvd. 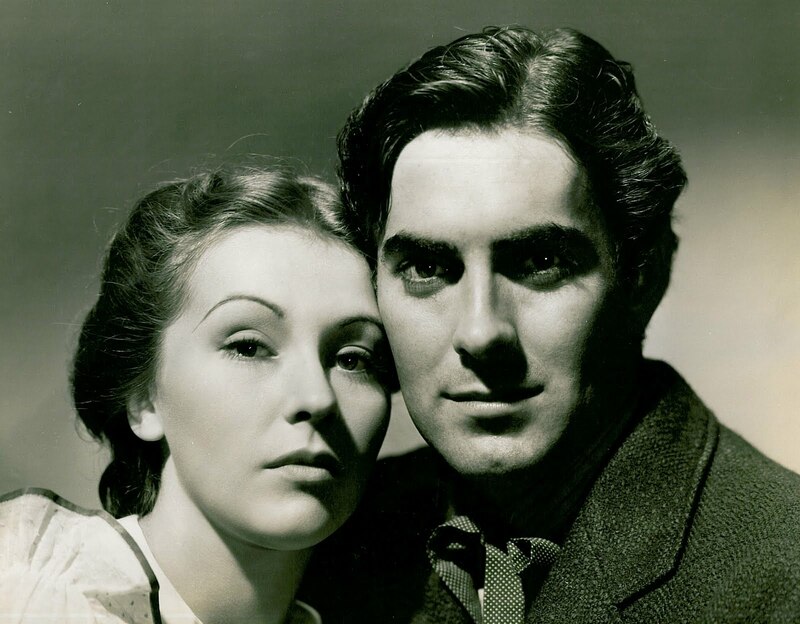 Jokingly, I said, "Oh, could you get me Tyrone Power's autograph?" "Who?" she asked, blankly.